Cornwall, the rugged southwestern tip. A peninsula formed of wild moorland and hundreds of sandy beaches culminating at Land’s End. Whilst here we will enjoy a visit to the Lost Gardens of Heligan, the world renowned and restored botanical gardens. Marvel at the 200 acres of garden history, mystery and romance. We will also stop at the Eden Project where you can experience the world’s largest indoor rainforest. As you follow the paths deep into the vast indoor jungle, enormous trees will tower above you and there will be surprises around every corner! The property is approximately 10 minuites from the beach. 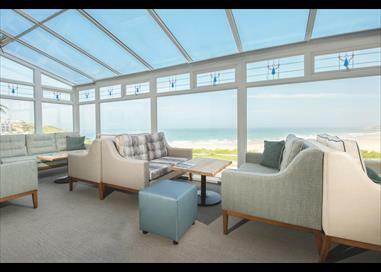 Overlooking Fistral Beach with stunning Atlantic views, the Esplanade Hotel has an indoor pool,spa bath and sauna. All rooms are comfortable and stylish, equipped with everything you need to make your stay a true home from home. 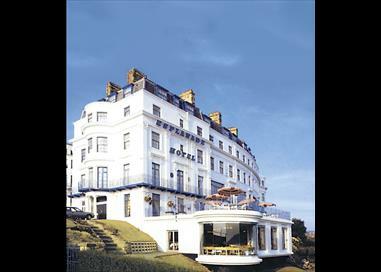 Relax in the hotel’s Pebbles Bar with large sun terrace. Please note there are a number of rooms with no supplement, more are available upon request but a supplement will apply.